Expand search to view more listings in and around Cottonwood Heights. See more offices in and around Cottonwood Heights. Here at Offices.net we have 1 of office available in Cottonwood Heights. This excellent office space is available now, and offers flexible rental terms to suit your business and make the transition as simple as possible. The Offices.net service is designed to get you into the office space that your company needs as quickly and simply as possible, and we would be happy to assist in any way. 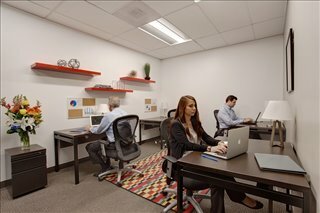 Our mission is to provide your company with exceptional office space and business premises in Cottonwood Heights, Utah, suitable for your individual business needs. With a fantastic selection of facilities and support services available, and flexible rental contracts, you will be assured of an easy move to your new Cottonwood Heights business premises. Numerous business centers listed on Offices.net come inclusive of a range of office support services including dedicated front desk reception and building security, conference rooms and lounge areas, dining facilities and break out rooms. Additionally, numerous office buildings also include high speed internet and network wiring, car parking lots, 24/7 access and onsite IT support staff. Pick any of the offices in Cottonwood Heights listed above. All of the office space listed on Offices.net is in a prime location, and is available for immediate lease on flexible terms. We have an impressive selection of outstanding office space in other Utah locations, all available on flexible terms to suit your needs. For all your office requirements, contact us using the form or phone number above.